Student activism has never been so racy. Last Tuesday, nine Melbourne University students stood atop one of their campus’ grand buildings completely and unashamedly naked. Their stunt earned them national and international media coverage. Soon after, the group of students was making headlines again, risking arrest for trespassing by blockading every entrance to their university’s chancellery. A wave of similarly bold actions flooded several of the other nation’s university campus’ this week: at the University of NSW, 11 students occupied the Chancellery building for one and a half days, filling their time with a quasi-slumber party; meanwhile a giant banner was unfurled from the Chancellery building at the University of Queensland, and students at Monash University set up a mock oil drill on the university lawns. The continual investment in fossil fuels is mind-bogglingly puzzling; we know that climate change is likely to be the greatest threat to public health in the future. If people and organisations do not invest in the tobacco industry due to its heath effects, then why do we invest in fossil fuels? Furthermore, the investment in fossil fuels is becoming not just a ‘health hazard’, but also a ‘wealth hazard’. This was one of the reasons cited by Professor Ian Young, the Vice-Chancellor of the Australian National University, as a justification for their decision to divest approximately $16 million from the fossil fuel industry. 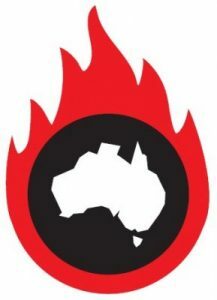 In an opinion piece published by Fairfax Media, Professor Young questioned the future survival of the fossil fuel industry, predicting that in 20 to 30 years, the main industries in Australia “…will not be in producing fossil fuels.” Amongst Australia’s universities, this is rarely seen foresight by a Vice-Chancellor on this issue. Indeed, it is ironic that most of the nation’s universities pride themselves in their ability for forward thinking, yet inconceivably continue to invest in fossil fuels. However, the message to divest is one that resonates nationally and worldwide. To date, Australia has seen a number of local councils, as well as religious groups and superannuation funds divest from fossil fuels. Globally, whole cities, tertiary institutions and charitable organisations such as the Rockefeller Brothers Fund have done the same. The divesting campaign has been so enormous that an estimated $3.4 trillion has been divested from fossil fuels. This figure will only continue to grow as more organizations choose to divest. For instance, a fortnight ago a joint report by the Doctors for the Environment Australia and the Climate and Health Alliance was released, which strongly encouraged the divestment from fossil fuels in the health industry. But why is it that the issues of climate change and the continual investment in fossil fuels resonate with university students to the level of fervor and zeal that we have seen over the past week? Young people are increasingly backing campaigns and movements that espouse justice and reject inequality. This is evident in the current US Democrats’ presidential nomination race, where Bernie Sanders is seeking election on the platform of economic and environmental equality. While he may not be leading the race between him and Hilary Clinton, Sanders is amassing a huge following of young people. According to exit polls from the recent New York primary election, Sanders had the support of 72% of voters under the age of 30 versus Clinton’s 28%. It is reasonable to suggest that young people have a vision for the future – a positive future that progresses from dialogue to action, from inequality to equality. Put simply, climate change and the unethical investment in fossil fuels is an issue of equality and justice. This was a point made astonishingly clear by Naomi Klein’s 2014 film and book of the same title, ‘This Changes Everything’(if you haven’t seen the film yet, stop reading this immediately and go watch it). Throughout her film, Klein documents instances around the globe where a preference for the fossil fuel industry has led to the unforgiving destruction of sacred land and people’s homes and livelihoods. This striking inequality is a reality for Australia’s Pacific Island neighbours, who are under the greatest threat from climate change, with rising sea waters, despite those nations contributing very little to global emissions. It is for this reason that students, impatient with the lack of action from their university leaders, have taken up the issue of fossil fuel divestment with such ferocity; their impact has been real. For instance, Yale University recently partially divested from fossil fuels after years of sustained pressure from staff and students. Other universities around Australia have also divested after similar actions from their university community. However, the fight must continue. As the impact from such bold student actions are realised, and as more and more tertiary institutions divest, it will become harder and harder for universities such as UNSW to resist the wave of momentum. I have been fortunate to be able to participate in these actions in my capacity as a member of Doctors for the Environment Australia at the University of NSW. DEA supports actions which do not break the law. So far we’ve participated in a climate parade on campus that called on the university council to divest, and we protested outside the Chancellery building to elicit a statement from the university on the matter. This issue is of particular importance to medical students; the personal impacts of climate change if it’s not controlled will be devastating on our generation, but the effect of climate change on the health of others and of future generations is why we fight for a healthy environment. Damian Gill is a 4th year medical student at UNSW, and is the co-representative of UNSW Doctors for the Environment.